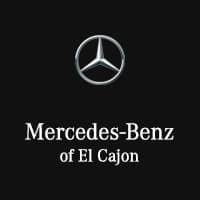 Next time you’re looking to service your 2018 Mercedes-Benz Sprinter around greater San Diego, head straight to Mercedes-Benz of El Cajon. We offer a unique garage equipped to handle Mercedes-Benz Sprinter service. Read on to find out why we’re your go-to dealer for Mercedes-Benz Sprinter repair, routine maintenance, and parts and tire replacement, and then, if you need help, set-up an appointment today. 24/7 mobile Sprinter service: If you’re stranded on the road around Chula Vista or La Mesa, give us a call, and we’ll tow you to our garage. Certified Sprinter Mechanics: Our 73,863 square feet facility is manned by technicians who have been specifically factory-trained in Sprinter service. Complimentary multi-point inspection: We offer a free diagnostic with any service or repair. 6 Sprinter service bays: You’re unlikely to find us backed up, as our garage is equipped to service 6 Sprinter vans at a time. Massive Selection: We have a vast selection of Mercedes-Benz Sprinter parts onsite and ready to sell. We likely have what you’re looking for, regardless of whether your model is recent or a pre-owned Sprinter with obsolete and hard-to-find parts. Genuine OEM Quality: OEM parts are the manufacturer-made parts your Sprinter was built with—-they fit perfectly, they last longer, they don’t affect resale value, and they’re covered by a manufacturer warranty. 2-Year parts warranty: We offer a 2-year warranty on any car replacement part we use in a repair. Service Reminder: We offer a service reminder program that helps to keep you aware of your maintenance schedule as well as new service specials. Availability: We offer Saturday service and Early Bird drop-off, if you need to take your car in before your appointment. Lounge: Our client lounge offers wi-fi, gourmet coffee and snacks, and HD TV. Transportation: We offer a complimentary shuttle service within a 20-mile radius. We also keep a fleet of loaner vehicles for your convenience. Mercedes-Benz of El Cajon is your first port of call for Mercedes-Benz Sprinter models and Sprinter servicing. To find out more, simply contact us today.